Public history occupies a strange place within the field of history. Its non-academic components are many and varied: museums, memorials, television programs, popular literature, and private genealogies. Public, not academic, history is what most people experience in their daily lives. While some academics may take issue with this popular, alternative version of their craft, a 1998 study by Roy Rosenzweig and David P. Thelen, historians at George Mason University, shows that 79.9% of the public finds that museums are the most trustworthy sources of historical information. By contrast, only 54.3% of respondents rated university professors as trusty purveyors of knowledge. With this much power ascribed to a field accruing little attention from mainstream academics, it is imperative that a bridge be created between academia and public history institutions. 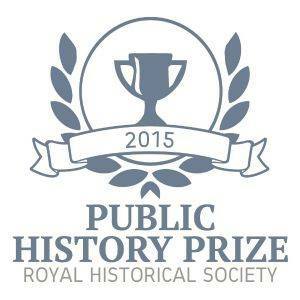 The Royal History Society has responded to this pressing issue by setting up a new award for public history in order “to promote the field of public history by recognizing work that enhances public understanding of the place of the past in today’s social, political and cultural life.” Nominations for the 2015 prize are open until 30 June 2015 and entries can be made in the following categories: Broadcasting, Film, Museums & Exhibitions, Print publications for general audiences, and Web-based projects. By establishing this prize, the Royal History Society is leading a new wave of recognition for the vital role public history plays within society. Public history relates the past to the present and connects historical events to multiple disciplines. The true impact of public humanities occurs at the juncture where academic, civic, and practical aspirations coincide. The Cambridge Public and Popular History Program, founded in 2005, seeks to showcase the impact of Public History through lectures, script writing workshops and internships. Convened by such eminent academic scholars as Professor David Reynolds, Dr. Scott Anthony and Dr. Bernard Fulda, this program uniquely fuses academic and public history. Most people consider the academic study of history to be an endeavor isolated from ongoing reality. It is considered to be simply the art of studying the past without any bearing on the present. However, the realm of public history shows the historical relevance of current world events and situations. One example is the United States Holocaust Memorial Museum, which organized a Leadership Summit in 2010 for 100 at-risk high school students from across the United States. These students visited historical sites and participated in interactive Q&A sessions designed to highlight civic engagement. The program provided a conduit to use past societal experiences as a possible way of tackling community problems. These students were challenged to affect the lives of 100 other people positively by joining organizations to combat issues on both a local and global level. A follow-up survey revealed that the students had reached 10,000 people by becoming involved in HIV prevention and genocide awareness campaigns. Collaboration of the academic and practical is essential in the public history arena. By taking academic information and disseminating it in an egalitarian manner, public history can coalesce various fields of knowledge with the potential for a transformative outcome. Roy Rosenzweig and David P. Thelen, The Presence of the Past: Popular Uses of History in American Life (New York: Columbia University Press, 1998), p. 21. ← Can Historians Study the Mind?